Tiger Woods’ Girlfriend Erica Herman. Who Is She? Tiger Woods’ girlfriend has gained more attention than the world-class golf player has. Herman was at the 2019 Masters Tournament to cheer on Woods. It was reported that 33-year-old Herman chased Tiger for ten years prior to coming out in public. The couple kept their relationship private until October 2017 when they were first photographed together at the Presidents Cup. Herman also was present at the Tour Championship in September 2018, which Woods won, and also attended the Ryder Cup in 2018. Woods was married for six years to 38-year-old Elin Nordegren. The two married in 2004 and divorced in 2010. 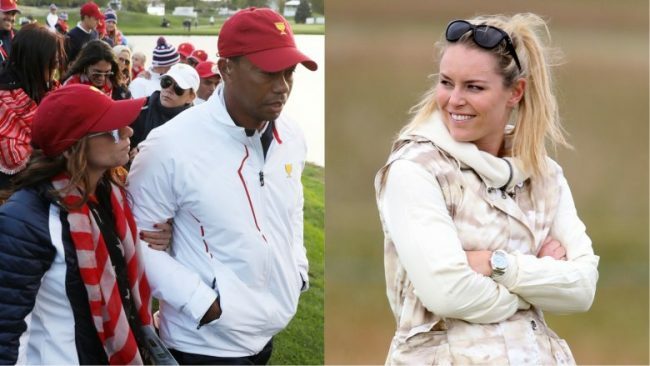 Woods openly admitted to having multiple affairs during their marriage. Tiger has two children with Nordegren, a daughter named Sam, and son Charlie. After their divorce, Woods dated from 2012-2015 skier Lindsey Venn. There was a rumor Venn caught Woods cheating with Herman, which caused the break-up. Herman was thrilled to watch Woods win on the final day at Augusta his fifth Green Jacket.